It's always fun to get a glimpse into the minds of the design team and learn a little about the inspiration behind a season or collection. Natural elements like marble were floating around the design office as they dreamed of our Summer collection. As you can see, these marbled motifs were the inspiration behind the patterns and colorations of our Topaz and White Tortoise prints. The variations in hues and asymmetrical prints play beautifully with the textures of our leathers, creating a collection of handbags that are a true work of art. 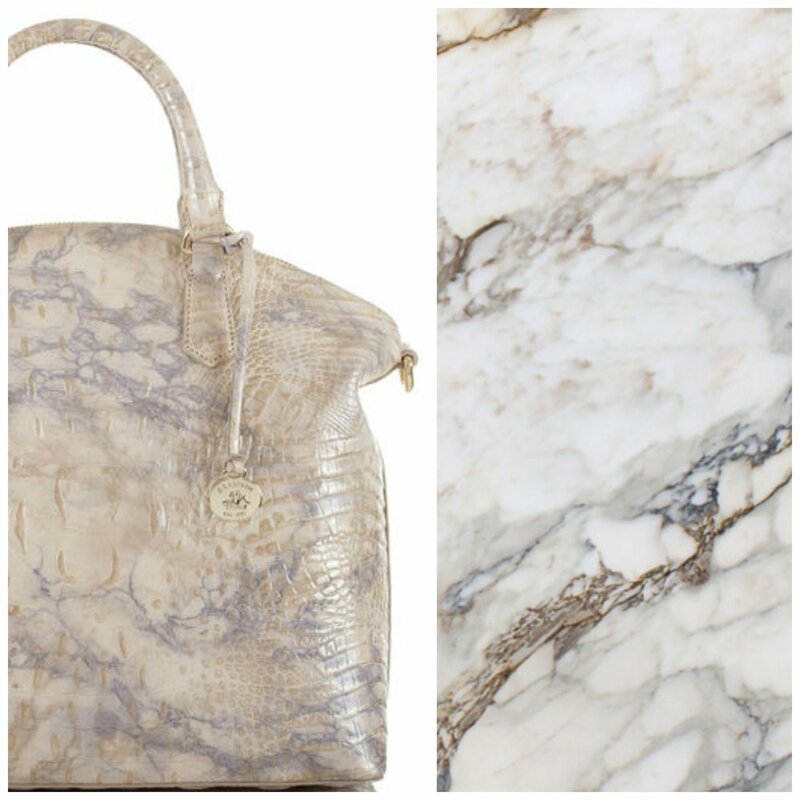 Shop the full collections and add a little marble to your closet here. Posted on May 4, 2017 by Brahmin Handbags and filed under Trend Inspiration and tagged inspiration.